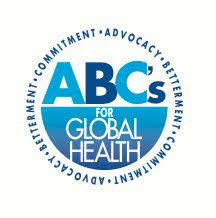 Friends for Philippines is a program run by ABC's for Global Health for the involvement of high schoolers in a month-long medical mission trip to Pampanga. There, students learn the process of the clinics, run research projects, learn about global health and medicine, and receive an immersive experience in the vast culture of the Philippines. This program is open to high schoolers in the South Bay Area. Applicants should be high schoolers from the South Bay Area. The program is run within the FUHSD school district, though other students may apply! Students are immersed into a new environment ripe for enrichment in sciences, social and culture study, as well as self reflection and public service. The students get to learn from medical professionals, medical students, and from the brand new country around them in this trip. Break into public health and medicine through Friends for Philippines! and events? Fill out this contact form!